Is this my heaven…yes it is. Absolute modern elegance by Thad Hayes. 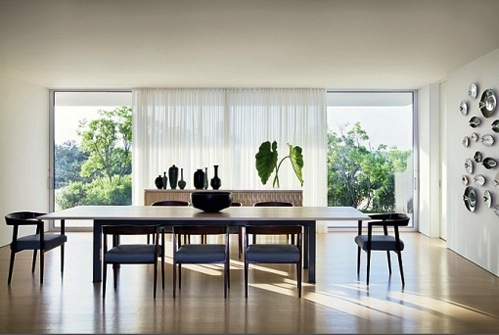 Gorgeous combination in the black jacaranda chairs by Joaquim Tenreiro and the custom dining table. And of course, accessories perfectly edited.